After moderating the 1st Munich Technology Conference, journalist Melinda Crane discusses additive manufacturing’s news-making potential. When Melinda Crane was invited to moderate the 1st Munich Technology Conference (MTC), she had only a “general layman’s knowledge” of the process she knew as 3D printing. As a journalist, she quickly came to appreciate Additive Manufacturing (AM) for both its capacity to reinvent manufacturing and for its news potential. “I came back from the conference with a sense of having had revealed to me an entire new field,” she says. The 2nd MTC has been scheduled for October 11-12, 2018, and Crane will return to moderate again. Thinking about themes that are still unfolding in this sphere and news that may emerge between now and the next conference, she lists several topics that she’ll be following. 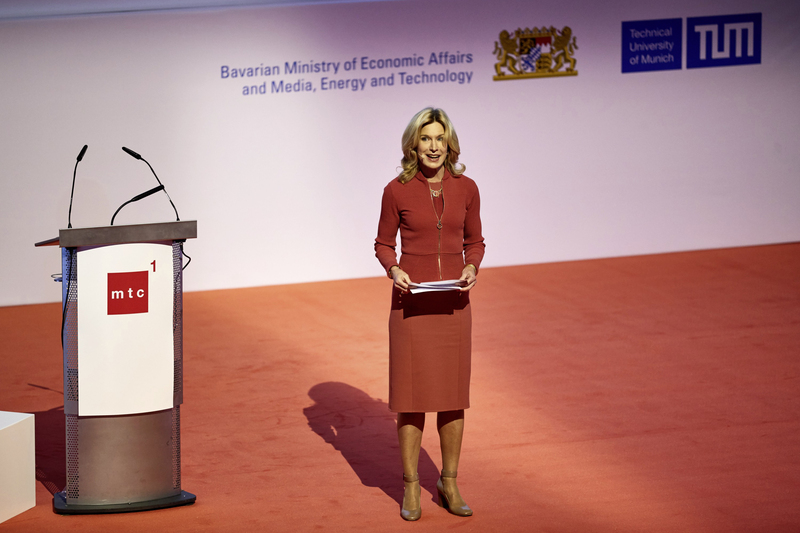 She asks, “What kind of a push is it going to take from academia and from policy makers to really bring this forward?” And in that question, she captures the central idea of the MTC: to bring together representatives of industry, academia, government, and associations to partner in creating the future of manufacturing. As MTC host, Oerlikon is delighted to count on Crane’s collaboration as conference moderator—and with her, awaits the next breaking news about this remarkable field. Born in the U.S.A. and based in Germany, journalist and moderator Melinda Crane brings to her work an educational background that includes law and economics. She completed her J.D. at Harvard Law School and her Ph.D. in Political Economy at Tufts University’s Fletcher School of Law and Diplomacy. In addition to being an independent conference moderator, she has served as Chief Political Correspondent for Deutsche Welle TV since 2010.